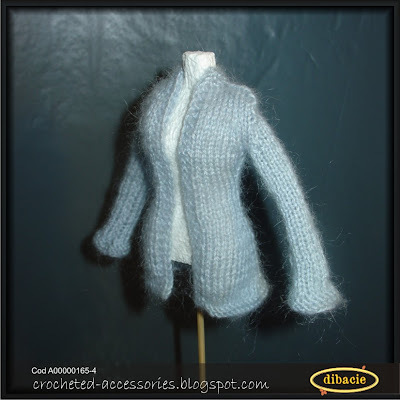 Pulover din fir tip angora. Tricotat pe ace. Mai trebuie sa-i fac inchiderea si e gata. Sweater made with angora type thread. Knitted with sewing needles. It needs a closure and it's done. Here is also my new Barbie mannequin made with papier mache.